Hong Kong, 2018 – This K-Pop Hip-Hop Group made their official debut on 14 May 2015 with their first mini album ‘TRESPASS’ and released their very first studio album ‘THE CLAN PART.2.5 BEAUTIFUL’ on 21 March 2017, which was ranked No. 1 on Billboard’s World Albums chart. 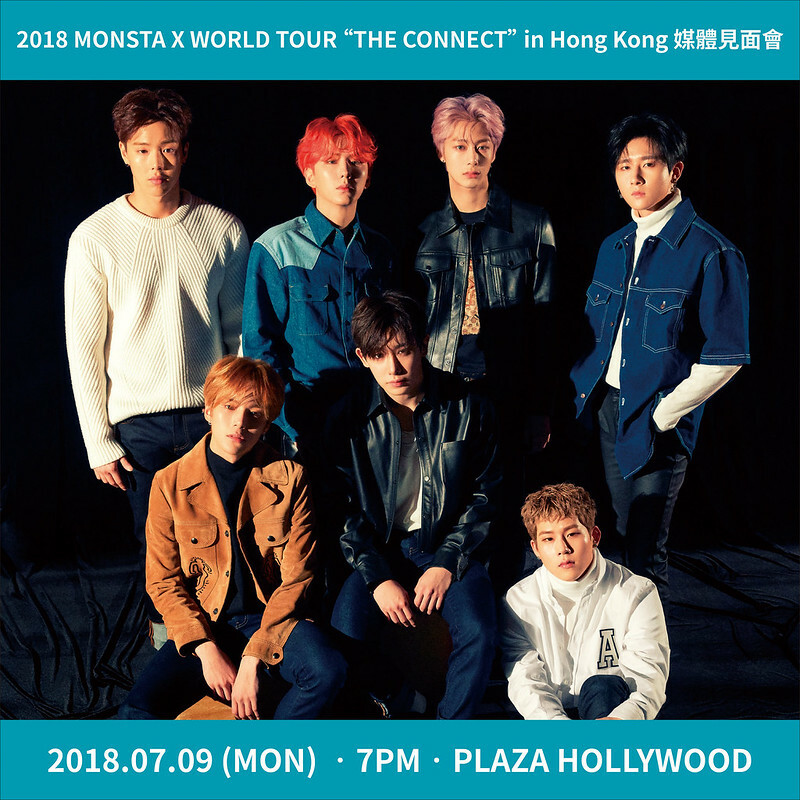 Not only will MONSTA X come back to Hong Kong for their 2018 MONSTA X WORLD TOUR “THE CONNECT” in Hong Kong at KITEC Star Hall on Tuesday, 10 July 2018, they will also appear at Plaza Hollywood in Diamond Hill on Monday, 9 July 2018 before their concert for a press conference. MONSTA X will have a Q & A session with the media to express their true feelings about meeting their fans again in Hong Kong, and disclose some of their interesting daily life stories! It will definitely be a stunning occasion for MONSTA X to meet closer with their fans to preview their concert’s coolest sessions! With 7 members, SHOWNU, WONHO, MINHYUK, KIHYUN, HYUNGWON, JOOHEON and I.M, MONSTA X released their 5th mini album ‘The Code’ on 17 November 2017 with its title song “Dramarama” winning their first No. 1 Korean music broadcast award at the music program named “The Show”. The sales of this mini album had also reached over 150,000 which showed MONSTA X’s rising popularity in Korea and even overseas. At the start of 2018, MONSTA X came back and released their new mini album ‘The Connect’, their title track “Jealousy” won the No. 1 Korean music broadcast award at “The Show” once again.